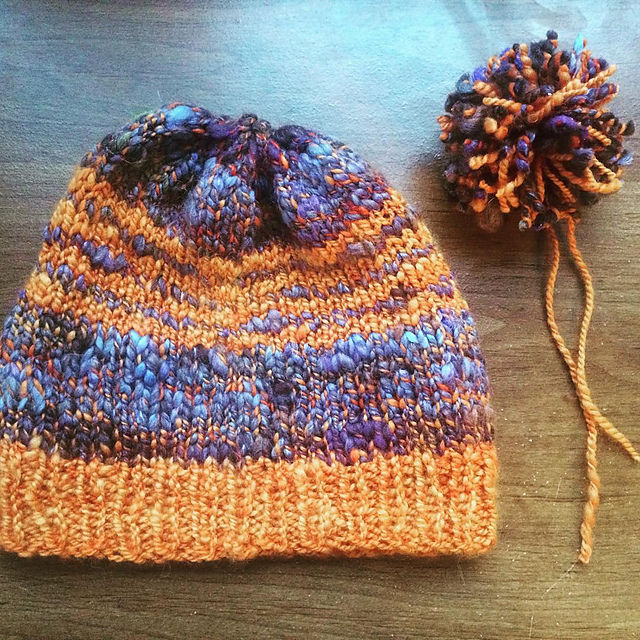 I made this handspun hat for one of my friends. I think she’ll love the wild and crazy colors but I wasn’t sure if she’s a pompon kind of a gal or not, so I decided to make one but let it be up to her whether she wants to sew it on or not. So, what are you making – gifts or otherwise – this week? Share it with us in the comments or tag your social media pictures with #MakersWednesday!